So, school started on Wednesday. And even though I only had a few obligations on campus, and managed to can and cowl on Thursday (see what I did there? OED, here I come) the start of the semester is emotionally exhausting — something about trying to get comfortable in a slightly different routine. 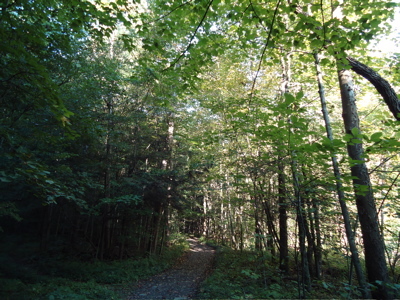 With all this in mind, my friend J. and I planned an afternoon hike, and it was just the kind of recharging we needed. 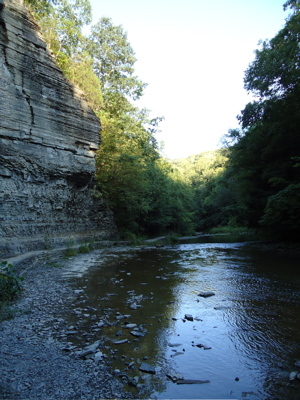 We headed out of town just after five, and hiked a nearby four-mile loop as we enjoyed the evening light. This really is my backyard — closer than my yoga teacher’s home studio, which is in one of the next towns over. Boh and I need to do this more. 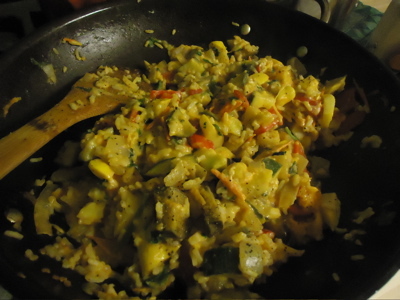 When Boh and I returned, I made this colorful meal — nothing more than a bunch of farm veggies sauteed. I added some leftover rice from the fridge and it sopped up some of the broth created by the fresh tomatoes, and then I stirred in chunks of goat cheese feta to add a creamy texture. Super good, and just what I needed after that hike. This is the thing about cooking from a farm share — veggies that were harvested this week (often in the hours just before the afternoon member pick-up) are so full of flavor and earthy sweetness that you don’t have to do much of anything to them to make something absolutely delicious. 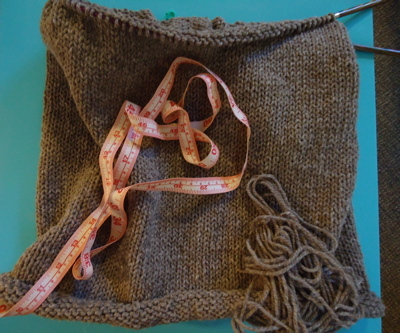 In between finishing one book and starting another, I inched towards the decrease row at the neckline of idlewood. Another inch or so and I’ll be there. I need to wind up another skein of yarn! 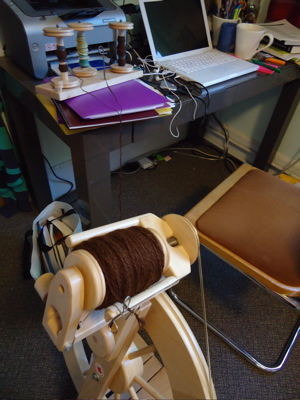 This morning, I worked on plying two bobbins of that super soft natural brown alpaca together. I tried to underply a bit, with the idea that a less tightly plied yarn would allow more a soft, alpaca-y halo in the finished yarn. It is soaking right now, so we’ll see how it turns out. On today’s agenda? Brunch with the boy, an afternoon birthday celebration near the lake, and a whole lot of reading/prepping for the week in between. Happy Sunday! 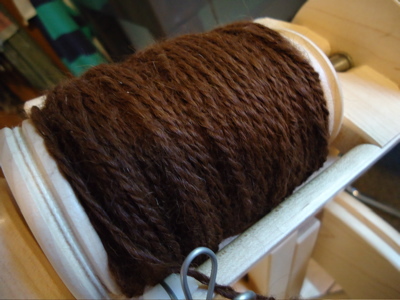 This entry was posted in CSA veggies, kitchen, knitting, out of doors, spinning and tagged 2-ply, alpaca, cowling, dinner, hike, idlewood, kitchen, knitting, outside, pullover, spinning, sweater, veggies and rice by barefootrooster. Bookmark the permalink. I know what you mean about the first week back: I’ve been going to bed between 9:30-10, and I’m still exhausted. Before we know it, though, it’ll be October and we’ll be all settled in. It’s nice to see you’re taking some time to adjust! I’m feeling more relaxed just looking at those gorgeous photos of your hike! That alpaca looks so lofty and soft–can’t wait to see how it turns out! 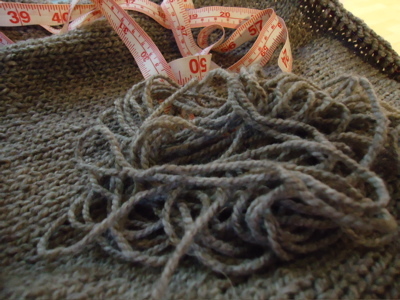 Idlewood is coming along quite well–you have inspired me to swatch for it–I agree, it’s a beautiful pattern. Oh man, do I know what you mean. I am beat. The weekend has helped, though, so maybe Monday will be looking better for us all? In any case: yum! You’re my vegetable inspiration. 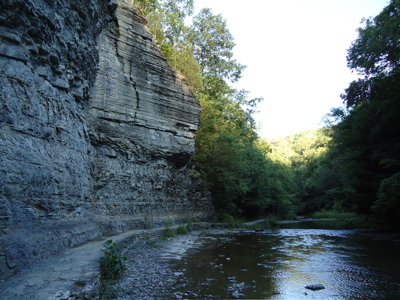 What a gorgeous place for a hike!! I wish I was close to that. That is one mega cowl! I’m looking forward to seeing your Idlewood. I am 27 and returning to university this fall, so I totally understand the emotion upheaval of a change in routine. 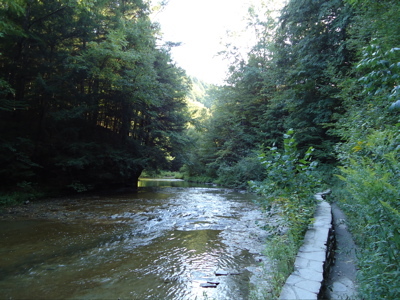 Knitting’s already my reprieve…I will keep hikes and cooking in mind as well! That first week of re-entry is always rough! Looks like a great hike, though. We went to an outdoor music festival last night, picnicking under the stars and listening to Rodrigo y Gabriela, and that was a surprisingly nice (urban) way to recharge. Beautiful backyard :-)! The cowl already looks good, the sweater will be awesome! Have a good week!